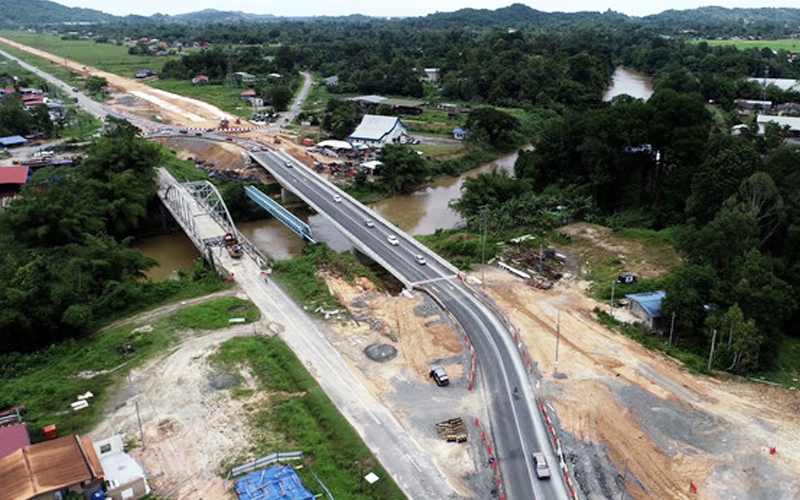 Works Minister Baru Bian (PH-Selangau) said Putrajaya is still reviewing the project, including the two PDPs – Borneo Highway PDP Sdn Bhd and Lebuhraya Borneo Utara Sdn Bhd. “We haven’t made a final decision as to the PDP model in Sabah and Sarawak, but this is still being studied from all aspects including ability and commitment. “We will make sure we get the best deal,” he said during question time. Business daily The Edge recently reported that Putrajaya had decided to ditch the PDP model in favour of a turnkey-contractor model for the project. Sabah Chief Minister Shafie Apdal later confirmed that the PDP model would be dropped, saying the state government had discussed the issue with Putrajaya. But Baru’s special adviser, Tian Chua, said the government was still reviewing the PDPs and their subcontractors with nothing finalised yet. Borneo Highway PDP meanwhile said work on the project continues, adding that they are unaware of any decision to change the contract model. Construction of the project is expected to be completed by 2023 in Sarawak and 2025 in Sabah. Speaking today, Baru assured there would be no delays to the 2,325km dual carriageway project. He was responding to Dr Kelvin Yii (PH-Bandar Kuching) who asked about the status of Putrajaya’s plans to replace the PDPs with turnkey contractors. To Hasbi Habibollah (Limbang-GPS) who asked about the financial implications and compensation to the PDP partners if their services are terminated, Baru said it was premature to comment. “The decision has not been finalised, so it is premature to say what the costs are now. Meanwhile, Health Minister Dzulkefly Ahmad (PH-Selangau) told the Dewan Rakyat that Putrajaya would introduce electronic medical records (EMRs) at government hospitals and clinics in stages over three years. He said at present, 25% of the 145 hospitals and government health clinics have an IT system for treatment purposes, including in Sabah and Sarawak. He added that these would be upgraded to EMRs. To Hasan Bahrom (PH-Tampin) who asked how Putrajaya plans to implement the EMR system as many areas still have poor internet coverage, Dzulkefly said he would look into this. Noting the threat of cybersecurity, he said the health ministry would take steps to ensure that patient information is kept private. He added that he is in talks with the finance ministry on this.